(from Sports Business Journal, August 26-September 1, 2013) There is no other event in the world like the Olympic Games. An event like that can produce a hefty expense and favorable revenue. 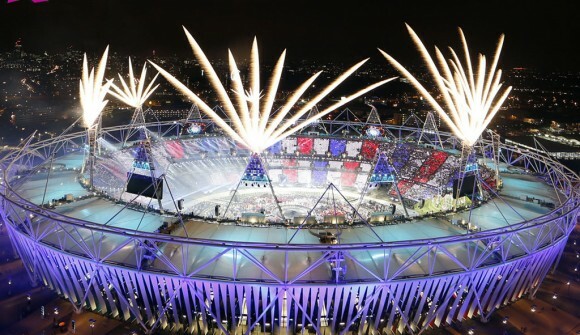 The 2012 London Olympics have been the most profitable to date. “Tax fillings show that the [International Olympic Committee] earned a total of $5.37 billion in revenue between 2009-12. It collected $1.7 billion in 2010 when it held the Vancouver Games and $3.4 billion in 2012 when it held the London Games.” Some may argue that the Summer Olympics tend to be more profitable than the Winter Olympics. However, just from the 2008 Beijing Games to the 2012 London Games, both Summer Games, the International Olympic Committee (IOC) had an increase in revenue from $2.4 billion to $3.45 billion. “The IOC’s $1 billion increase in revenue between the 2008 and 2012 Summer Games was unprecedented, and it’s unlikely the organization will be able to repeat it in 2016.” There was just something different, something special, about the London Games that people are still astounded by and astonished on how they were so profitable. They even managed to only have a $0.6 billion increase in major expenses between 2008 and 2012. The International Olympic Committee tax filings also show approximately $1.9 billion dollars in grants they received from five different sources. This amount was very helpful in the production of the London Games as the IOC did not have to pay this money back or count it in their expenses. “The organization’s revenue growth over the last eight years allowed it to increase its total assets to $2 billion and meet outgoing IOC President Jacques Rogge’s goal of having enough cash on hand to support the IOC and repay debts should an Olympics be canceled because of political instability, war or any other unexpected event.” This safety net the IOC has created from themselves is largely due to the successful London Games. It’s important to have the backup cash in case an issue breaks out across the world, which is a good possibility in today’s state.